Soon, fans from across the galaxy will travel to Chicago for Star Wars Celebration—and so will we. For padawans who aren’t making the journey to the Windy City, The Star Wars Show LIVE! presented by Geico will stream panels, interviews and more directly from the show floor. 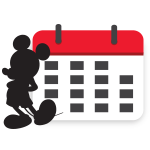 Also, be sure to follow D23 on social media for real-time updates, coming at you faster than lightspeed! And you won’t want to miss actress and D23 favorite Ashley Eckstein do a mini social takeover on Saturday. 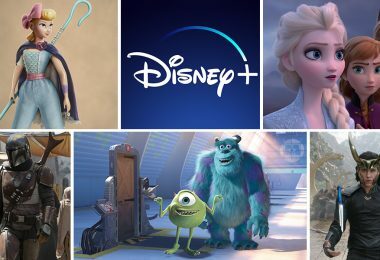 Finally, come back to D23.com Monday for a fun, comprehensive recap of the buzziest moments. The five-day celebration will take place from April 11–15 at McCormick Place (2301 S. Lake Shore Drive). Sharing in the excitement of new books, comics, movies, and television shows, while also celebrating the vast history of the Star Wars universe, the exclusive event will include major announcements, celebrity guests, immersive exhibits, limited edition merch, meet-and-greet opportunities, fan-inspired activities, early screenings, panel discussions, and more. Star Wars Celebration will be open 1 p.m. to 8 p.m. Thursday; 10 a.m. to 7 p.m. Friday, Saturday, and Sunday; and 10 a.m. to 5 p.m. Monday. Jedi Master VIPs also get 30 minutes early access. David W. Collins and Amy Ratcliffe will return as hosts of the Galaxy Stage and the Behind-the-Scenes Stage, respectively. Warwick Davis, who brought Weazel and Wicket to life onscreen, will serve as the master of ceremonies; he last hosted the Celebration Stage in Orlando in 2017. Star Wars Celebration attendees can take advantage of the new LIGHTSPEED Virtual Panel Reservations and LIGHTSPEED Lane Virtual Queuing, powered by ThinkGeek, which eliminate the need for overnight queuing and give fans the opportunity to see the panels they want and shop the Celebration Store with less waiting time. And no matter how far, far away fans may be, they can join the festivities via their nearest screen or device, as hosts Andi Gutierrez and Anthony Carboni, co-hosts Max Scoville and Chastity Vicencio, and Jordan Hembrough and Ashley Eckstein stream live from StarWars.com and YouTube.com throughout the event. ARE THESE THE DROIDS—ER, CHARACTERS—YOU WERE LOOKING FOR? Dozens of actors will be making appearances, including Riz Ahmed (Bodhi Rook), Ahmed Best (Jar Jar Binks), Paul Bettany (Dryden Vos), Hayden Christensen (Anakin Skywalker), Hermione Corfield (Tallissan Lintra), Michael Culver (Captain Needa), Anthony Daniels (C-3PO), Warwick Davis (Wicket W. Warrick/Weazel), Mark Dodson (Salacious B. Crumb), Anthony Forrest (Sandtrooper), Janina Gavankar (Iden Versio), Julian Glover (General Veers), Greg Grunberg (Temmin “Snap” Wexley), Kathy Kartwheel (HURID-327), Paul Kasey (Admiral Raddus and Ello Asty), Erin Kellyman (Enfys Nest), Ken Leung (Admiral Statura), Jett Lucas (Zett Jukassa), Peter Mayhew (Chewbacca), Ian McDiarmid (Emperor Palpatine), Ian McElhinney (General Dodonna), John Morton (Dak Ralter), Ray Park (Darth Maul), Michael Pennington (Moff Jerjerrod), Hugh Quarshie (Captain Panaka), John Ratzenberger (Major Derlin), Orli Shoshan (Shaak Ti), Joonas Suotamo (Chewbacca), Alan Tudyk (K-2SO), Forest Whitaker (Saw Gerrera), and Billy Dee Williams (Lando Calrissian). 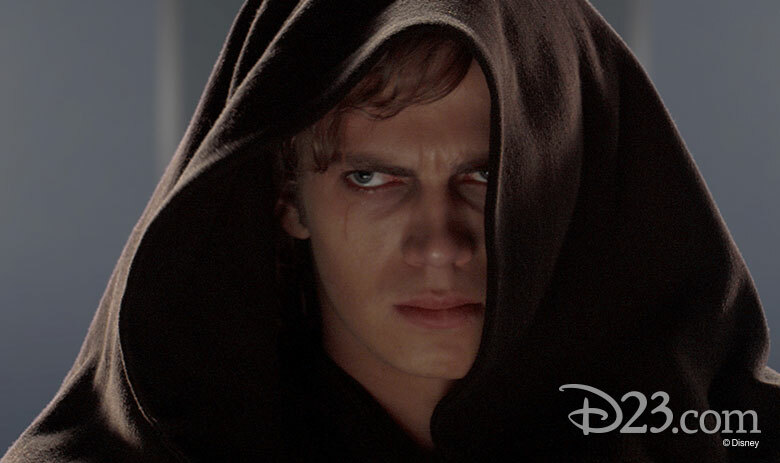 Meanwhile, voice actors scheduled to attend include Dee Bradley Baker (Glem), Ashley Eckstein (Ahsoka Tano), Donald Faison (Hype Fazon), Taylor Gray (Ezra Bridger), Jason Isaacs (The Inquisitor), Tom Kane (Master Yoda and others), Matt Lanter (Anakin Skywalker), Scott Lawrence (Jarek Yeager), Daniel Logan (Boba Fett), Vanessa Marshall (Hera Syndulla), Suzie McGrath (Tam Ryvora), Bobby Moynihan (Orka), Freddie Prinze Jr. (Kanan Jarrus), Greg Proops (Jak Sivrak, Garma and Fode), Katee Sackhoff (Bo-Katan), Christopher Sean (Kazuda Xiono), Tiya Sircar (Sabine Wren), Catherine Taber (Padmé Amidala), James Arnold Taylor (Obi-Wan Kenobi), Myrna Velasco (Torra Doza), Sam Witwer (Darth Maul), and Matthew Wood (General Grievous). Other guests include puppeteers Dave Chapman and Brian Herring, the men responsible for bringing BB-8 to life; droid builders Lee Towersey and Josh Lee, who mechanized R2-D2 and K-2SO, respectively; electronic and development supervisor Matt Denton; and authors Jeffrey Brown, Katie Cook, Zoraida Córdova, Delilah Dawson, Alexander Freed, Claudia Gray, E.K. Johnston, Justina Ireland, Cavan Scott, and Timothy Zahn. Rob Bredow, executive creative director and head of Industrial Light & Magic, will also be autographing his new book, Industrial Light & Magic Presents: Making Solo: A Star Wars Story. Lorne Peterson, one of the founding members of Industrial Light & Magic who was hired to help create models for Star Wars: A New Hope, will make an appearance, as will creature performer Annabelle Davis (Thromba) and Penny McCarthy, who played both a Devaronian cantina patron and a band member in the film. Plus, Mark Daniel (Celebration Stage warm-up host), Warwick Davis (Celebration Stage host), Dave Griffiths (Galaxy Stage DJ), Elliot Hansen (Celebration Stage DJ), Gus Lopez (Collecting Track host), Cameron Matthews (StarWars.com Stage warm-up host), Mark Newbold (Podcast Stage host), and Amanda Wirtz (Galaxy Stage warm-up host) will be there to rev up the crowds. 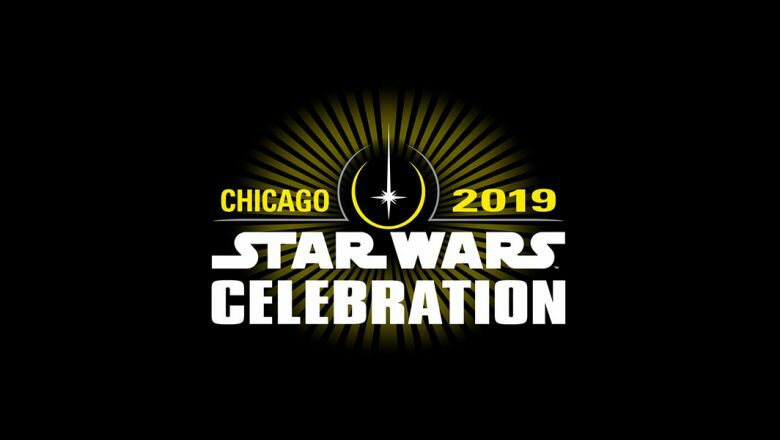 An exciting entertainment lineup will take place across eight stages in McCormick Place: Celebration Stage (Location: Wintrust Arena), Collectors’ Stage (Location: W474), Fan Stage (Location: W470), Galaxy Stage (Location: Skyline Ballroom), Podcast Stage (Location: W193), Star Wars Show LIVE! Stage (Location: Exhibit Hall), Twin Suns Stage (Location: W196), and University Stage (Location: W194). The Star Wars Celebration website has an interactive map. 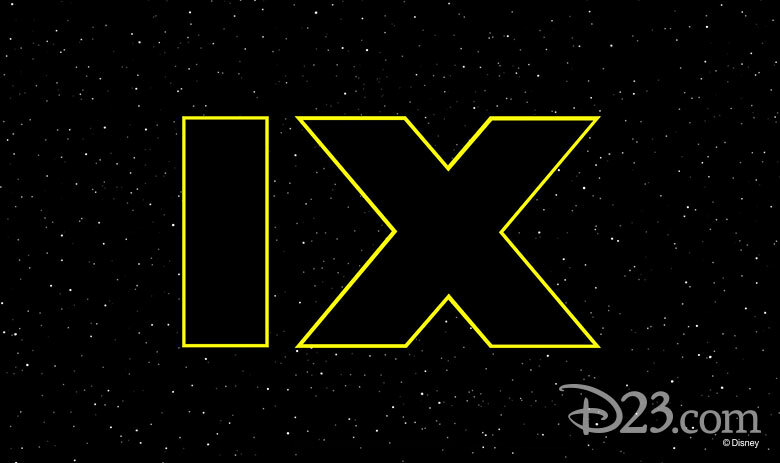 Director J.J. Abrams and Lucasfilm President Kathleen Kennedy will appear live on stage to celebrate the culmination of the Skywalker Saga. 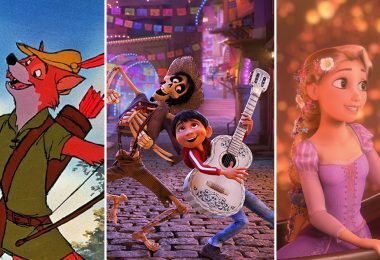 Count on plenty of surprises and special guests as anticipation builds for the blockbuster finale, set for release on December 20, 2019. Join ILMxLAB and Oculus for a preview of the first Star Wars story series designed for virtual reality. Learn all about the design, story, and technology that bring this new experience to life. Team members from Walt Disney Imagineering and Lucasfilm will share stories about what it takes to bring Star Wars to life and how guests can live their own Star Wars stories in Batuu. 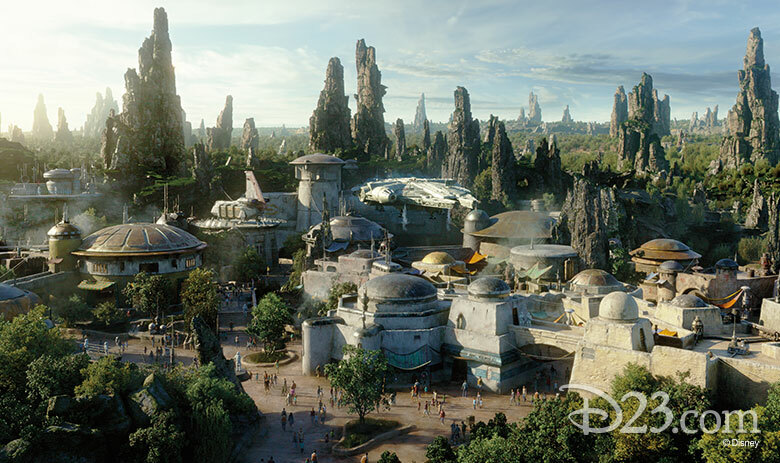 Expect a few surprises before Star Wars: Galaxy’s Edge opens May 31 at Disneyland Resort in California and August 29 at Disney’s Hollywood Studios at Walt Disney World Resort in Florida. The Ghost crew is far from forgotten! 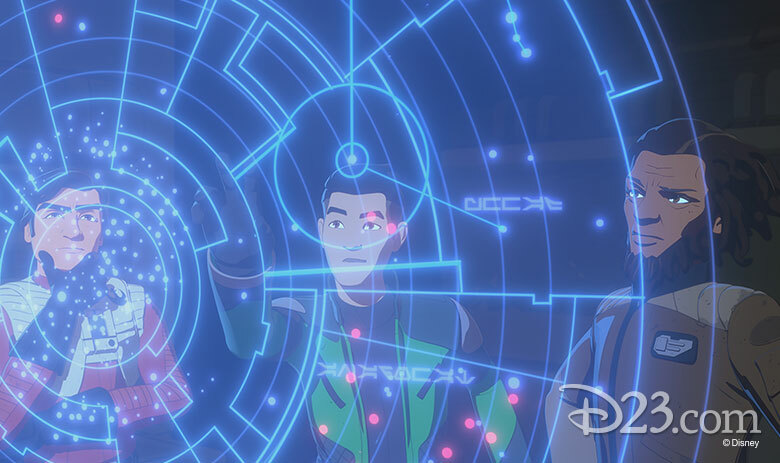 Take a walk down memory lane with executive producer Dave Filoni and voice actors Gray, Marshall, and Sircar. Spoiler alert: There are NO reboot plans. 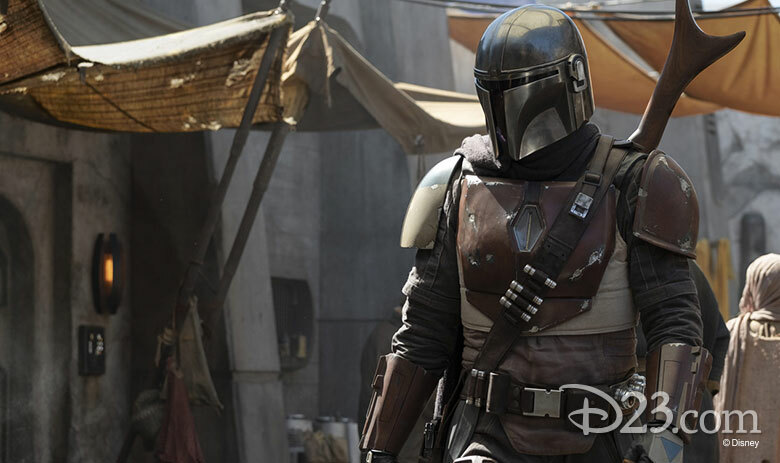 Learn about the perilous world at the heart of the series, set to debut on Disney+, with executive producer/writer Jon Favreau and executive producer/director Dave Filoni. 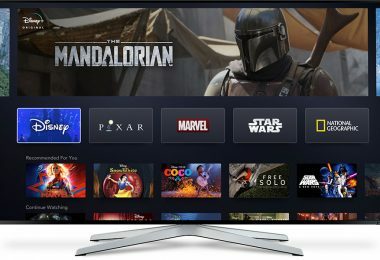 Disney+, The Walt Disney Company’s direct-to-consumer streaming service, debuts in the U.S. later this year. Filoni will invite special guests to discuss the return of the animated series, which is celebrating its 10th anniversary this year. Together, they’ll share an exclusive sneak peek at things to come. Davis will host the can’t-miss event live from the Celebration Stage, sharing rare behind-the-scenes content and inviting special guests to share insights and memories from the film’s set. Preview new episodes of the animated series with executive producers Brandon Auman, Athena Portillo, and Justin Ridge, plus actors Faison, Lawrence, McGrath, Sean, and Velasco. 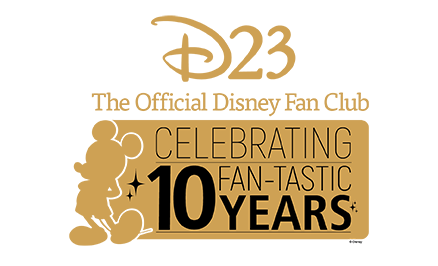 Visit Star Wars Celebration’s website for a complete guide to dozens of must-see panels. NEVER TELL ME THE ODDS—ER, PRICE! 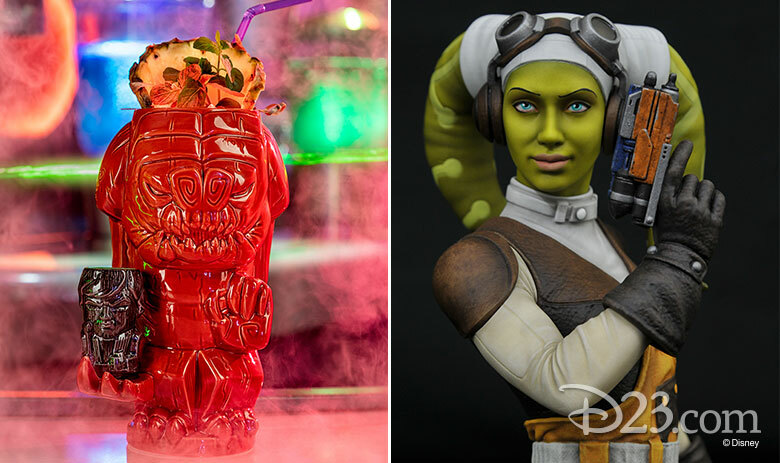 Star Wars Celebration will transport some of the most sought-after treasures in the galaxy to a single space: McCormick Place. Most items will only be available to fans who attend the event, although select products will be available to purchase from Amazon, Target, and other retailers. Save up your Imperial Credits and explore the floors to find merchandise like ACME Archives’ “The Hopeful” Art Print by Jerry Vanderstelt, Aquarius’ Character and Vehicle Magnets, Beeline’s Rancor and Jedi Luke Geeki Tikis Set, Diamond Select Toys’ Hera Syndulla Mini Bust, Fantasy Flight Games’ Star Wars: Legion Limited Edition Darth Vader Commander Expansion, Funko’s Watto POP!, Hallmark’s Boushh Itty Bitty, Hasbro’s Star Wars: The Black Series Obi-Wan Kenobi on Episode I Cardback, Koto, Inc.’s R2-R9 and R2-B1 ARTFX Statues 2-Pack, Kotobukiya’s ARTFX Darth Vader Bronze Version, LEGO’s Darth Vader Bust, Loungefly’s Animated Boba Fett Edition Backpack, NECA’s Jabba the Hutt Chia Pet (Limited Edition of 500), Po-Zu’s Star Wars Celebration Sneaker, Reed Exhibitions’ Darth Maul Souvenir Jacket, Regal Robot’s Jabba’s Dais Gargoyle Magnet, Seven20’s Aunt Beru’s Diner Mug, Seven20’s Walk-N-Roar Chewbacca Plush With Collectible Millennium Falcon Pin, Wilson’s Star Wars: The Phantom Menace 20th Anniversary Football, and dozens of other collectibles. Fans can purchase meals in the 2nd Level Food Court in McCormick West, as well as in the Marriott Marquis Chicago and around the McCormick Place convention center area. Chicago also has wonderful restaurants and eating places for Star Wars Celebration after-hours meals. HELP ME, OBI-WAN KENOBI: YOU’RE MY ONLY HOPE! The Star Wars Celebration Mobile App is the best source for up to the minute information, maps and more. Still have questions? Look no further than the Star Wars Celebration FAQs. Tickets are still available for Monday, April 15. Star Wars Celebration Chicago teamed up with Lyte to form an authentic, safe ticket exchange. Fans may return their sold-out ticket types to Lyte, or they may make a reservation to buy a ticket from Lyte after a ticket type has sold out.